In the Central Apennine mountains in Tuscany, with a finish atop the historical Abetone. It was here that Fausto Coppi first announced himself to the cycling world at the tender age of 20, attacking on its slopes to win his first ever Giro stage en route to his first ever pink jersey. 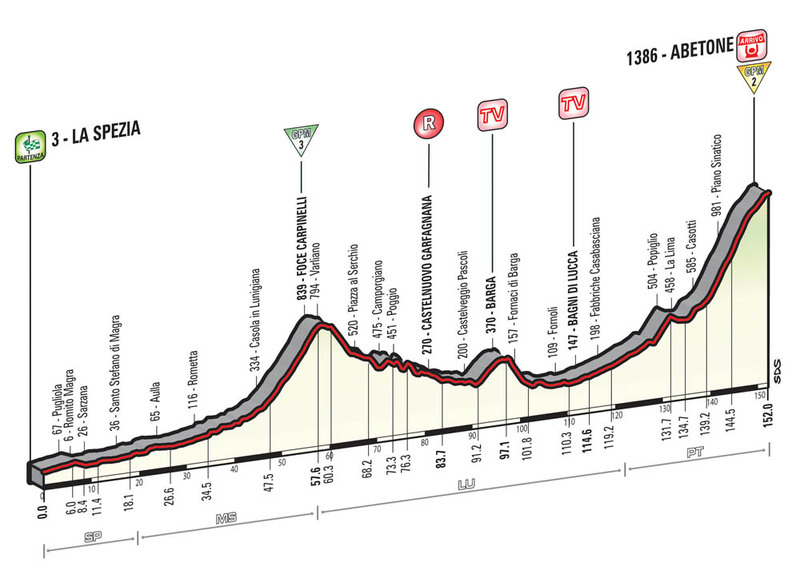 While the climbs of the previous stages are more accurately described as hills, the Abetone is in every sense an outright mountain. At 17km in length it appears to go on forever, and will come as an unpleasant shock to riders who have up until this point only had to deal with far shorter climbs. The gradient is equally relentless, ramping up to seven per cent after 4.5km and staying that way for the entire climb, barring the final 3km. By that point, the riders will be so exhausted they’re unlikely to feel any difference. 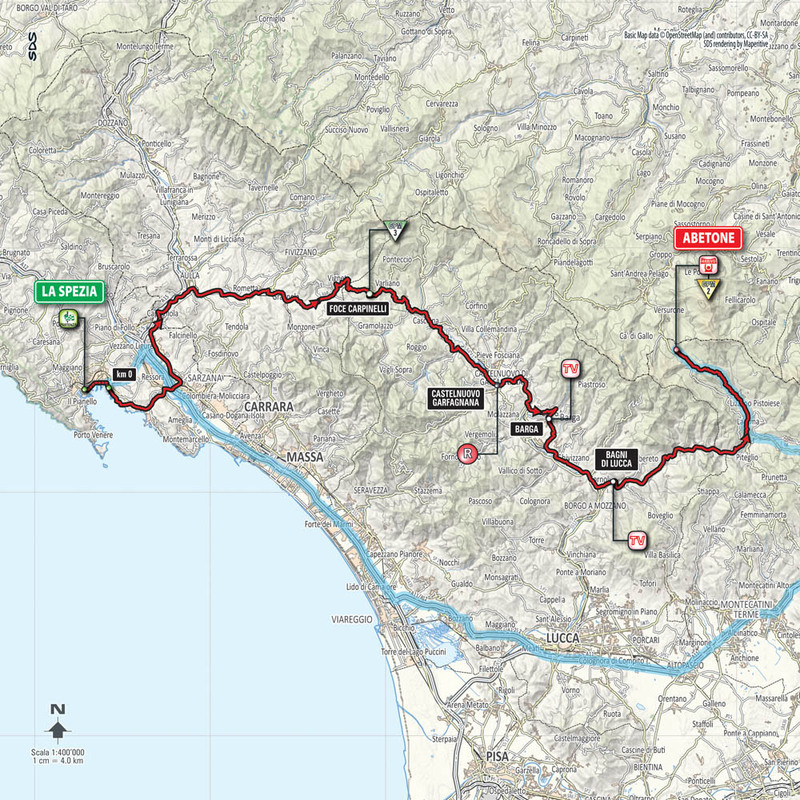 As the first of the Giro’s six summit finishes, the Abetone is bound to bring the GC riders to the fore (especially with the Foce Carpinelli tackled some 100km earlier to soften the legs), and will expose anyone who’s not got the form to compete for the overall. It will probably be more interesting to watch the back of the peloton rather than the front, as such a long, steady climb will likely be raced at the kind of unrelenting pace that will not favour attacks, but will shell riders one-by-one until only an elite few are left. Among them will be this year’s eventual overall winner.